From what I saw during this year’s U.S. Open, it doesn’t look like Rory McIlroy needs any new putting lessons. Then again, with so many of his approach shots landing close to the holes at Congressional Country Club, maybe we just haven’t seen enough of what he can do with the occasional challenge from fifty feet. For the rest of us, however, there’s still some hope to be found from the teachings of others. Recently the folks at Golf Magazine came out with a new manual, which they modestly titled The Best Putting Instruction Book Ever! (Time Home Entertainment; $32 SRP). Complete with a bonus DVD, the book gathers together some of the most well-known putting gurus in the country, for a remarkably in-depth treatment of the one aspect of the game that might be considered the easiest to learn. 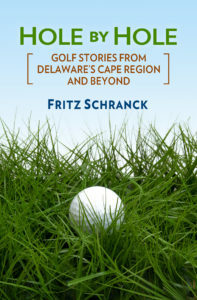 According to what’s mentioned in this book, that’s not necessarily the case for all golfers. I suggest that putting should be easy for most, because it does not involve a full swing with a long club. Anyone who’s spent any time hanging around a billiard table will also have some appreciation for how a ball will roll on a smooth surface, depending on where it is hit with a cue ball. The face of a putter is really not that different. No matter how simple I may consider putting to be, it’s also obvious that these instructors make a very nice living by teaching those who just can’t find the hole. There are ten different teachers, in ten different chapters, and several of them obviously have very different ideas about how best to roll a small ball into a round hole. Nonetheless, reading the various competing concepts may help readers understand where their own preferences and abilities should best be directed. For example, compared to the straight-back, straight-through method espoused by former LPGA Tour winner Maggie Will, I am very much a putter who uses the arc-style putting stroke taught by former PGA Tour player Stan Utley. Based on the differences between linear and non-linear putting styles discussed by Mike Shannon, I am definitely a non-linear, feel-based putting fool. Among other differences, that means that on the green, I am far better off figuring out where I want the ball to enter the hole, and then letting my unconscious brain take over the final aiming before the putt, instead of picking a point along the path for a straight putt to go. I also thought the segments on putter designs and the differing effects of those designs on putting styles would be potentially useful for many golfers. David Edel’s chapter on club fitting outlined the many different options available, and was nicely complemented by Mike Adams’ segment on calibrating the putting stroke. For new golfers, learning to putt better is a far faster approach to improving one’s game than spending an equivalent amount of time on the driving range. Experienced golfers would also relax a bit more on the greens if they reminded themselves that the hole is a lot larger than the ball, and therefore there really is a margin for error on which they can rely. 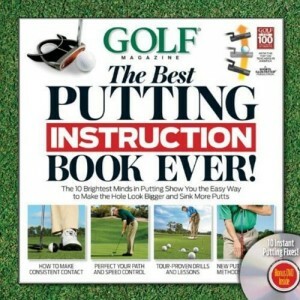 This book could help golfers of both types. The Kings Creek Country Club Ladies 18 hole group played its weekly tournament June 18, and this time the format called for throwing out the players’ worst three holes. It’s a bit like Callaway scoring. In the flight, Patricia Ritthaler took first, with Cory Wother in second and Ana Dittel in third. Vicky Tull won the second flight, followed by Dorrie Spillman and then Linda Pini. Rita Musi took first place in the third flight, with Trisha Galioto finishing second and Gail Petren in third. Luanne Zabytko was closest to the pin in the 8th hole, at six feet and one-half inch away.